Where I belong. 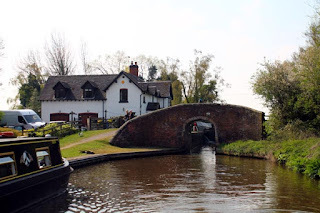 : Day 37: Fradley to The Ragley Boat Stop. Day 37: Fradley to The Ragley Boat Stop. Hiya family friends and followers. Blimey, who bought back Winter? It was definitely nippy this morning and there was a stiff breeze, which made things feel colder. 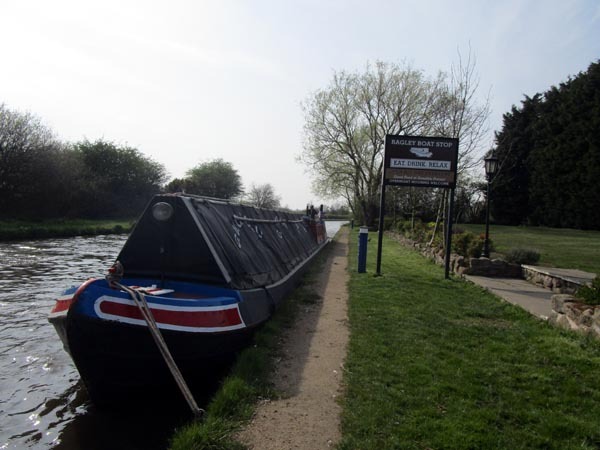 We left Fradley at 8am after enjoying a lovely weekend at the nature reserve. Stan one of the CRT volunteers, helped us down through the locks. He was so lovely and he has his gold bag for volunteering, which he reckoned I was the only person who had noticed it and I congratulated him. He really enjoys volunteering. We said "Goodbye" to Stan and headed off on our way. There is a new marina being built at Fradley. 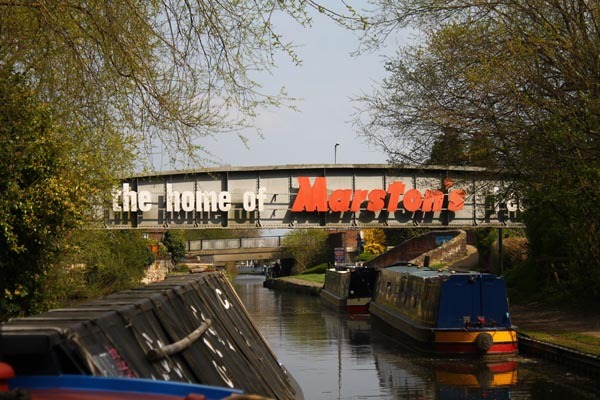 It is a 60 berth marina with all facilities. I bet that will fill up quickly. 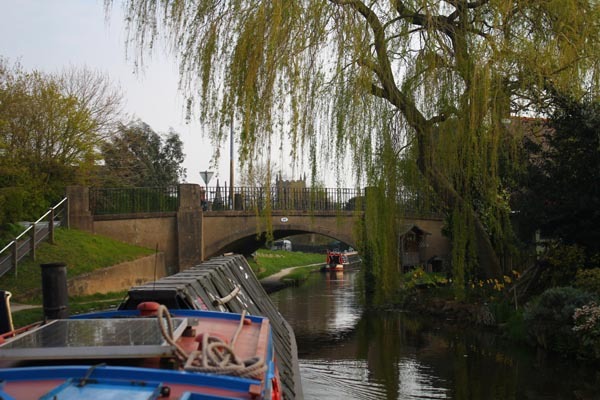 There are some pretty places along this stretch of the canal, river and back to canal again. Once the sun came out, it warmed things up a little and I could desguard my gloves. The cafe at Stenson Lock is closed at the moment. it looks like they are being redecorated, because the outside was being painted. We had to wait for the lock, because a boat was already going down and it was a slow process, because one of the bottom paddles gear was broken by a boat a couple of boats in front of us. Apparently the boater entered the lock at speed and hit the gear, breaking it. According to the volunteer lock keeper, it has not long been repaired after being out of commision for most of last season. 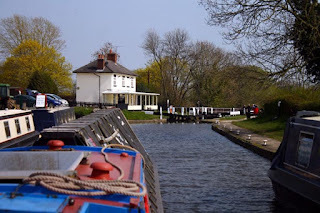 To say that the lock keeper was miffed was an understatement and rightly so. Boaters need to take more care. We stopped for water along the way. 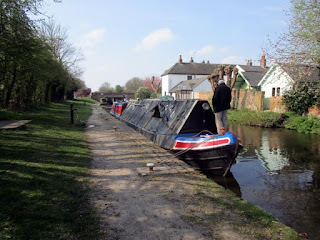 We moored up at 3.35pm at Ragley Boat Stop and went for a pint. Whilst there we saw they were going meals for £4.99 if ordered before 5pm and for an extra £1 you could have a pudding. Neither of us was bothered by the pudding, but we could not resist the main course. Keith had Gammon and Chips and I had Plaice and Chips, both were extremely scrummy. So if you are passing this way and there is room to moor up, do enjoy a pint and food in the pub. Back at the boat, I swept the saloon chimney, mainly because we were moored the side which the chimney is on, making it easier for me to use the brush, without climbing onto the roof. If the weather reports are right, it should be heating up this week, so the fire may be allowed to go out. Day 38: Ragley Boat Stop to Shardlow. 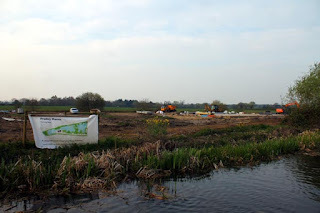 Day 36: Fradley Nature Reserve. 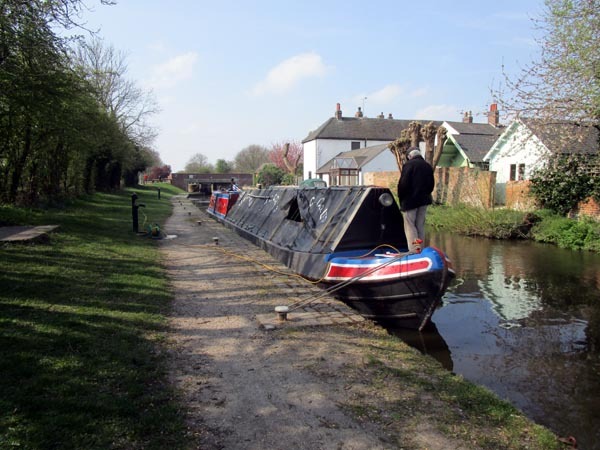 Day 35: Rugeley to Fradley. Day 34: Calf Heath to Rugeley. Day 33: Urban Moorings to Calf Heath. Days 30 and 31: BCLM and Hawne Basin. Day 29: Black Country Museum. 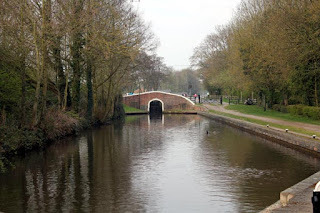 Day 27: Engine Arm, Smethwick to Tipton. Day 26: Birmingham to Smethwick. Day 24: Back into Birmingham.